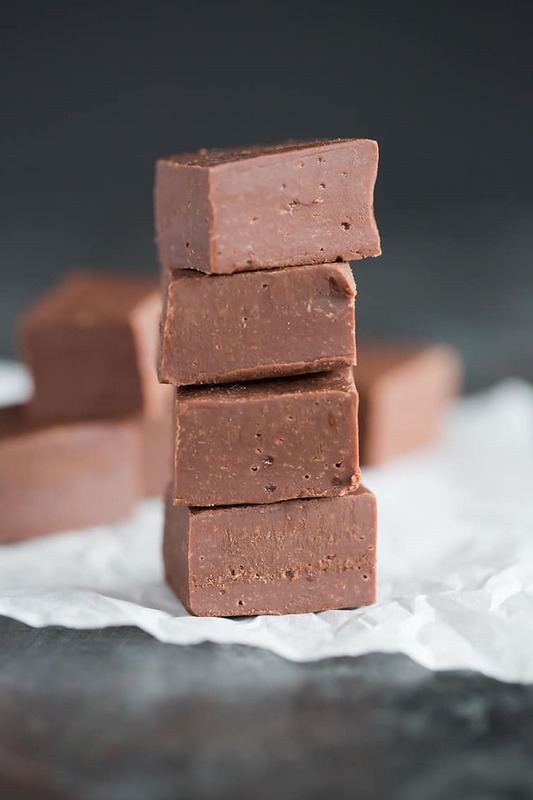 This quick and easy fudge recipe is made with chocolate chips and sweetened condensed milk, plus a dash of salt and a little vanilla extract (and throw in some chopped nuts, if you’d like!). There are also directions included for using marshmallows and the microwave. You say “fudge” and I immediately smell the salty air that wafts up from the shores of the Atlantic. Although fudge is a traditional gift toted around in tins at Christmas-time, it always reminds me of the beach. A quaint little beach town (or crowded boardwalk, for that matter) wouldn’t be complete without a homemade fudge shop nestled in between the salt water taffy store and the “I forgot sunblock, aloe, and a souvenir” store. You can’t walk within 100 yards of it without being completely immersed in the smell of rich chocolate goodness. Now, I did not grow up in a fudge-making family. My mom and grandma did not stand over pots of boiling chocolate, stirring until it was juuuuuuust right. They were straight-up cookie makers. So, when it comes to making fudge, I go the quick and easy route every time. This is my go-to fudge recipe when I need to add just a little more variety to my Christmas cookie trays. 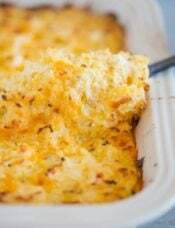 Line a square baking pan with aluminum foil or parchment paper. Melt chocolate chips, sweetened condensed milk and salt over low heat in a saucepan. It only takes a few minutes for it all to come together in one melted, smooth mixture. Off heat, stir in the vanilla extract and chopped nuts, if you’re using them. Spread the mixture in the prepared pan in a nice even layer. 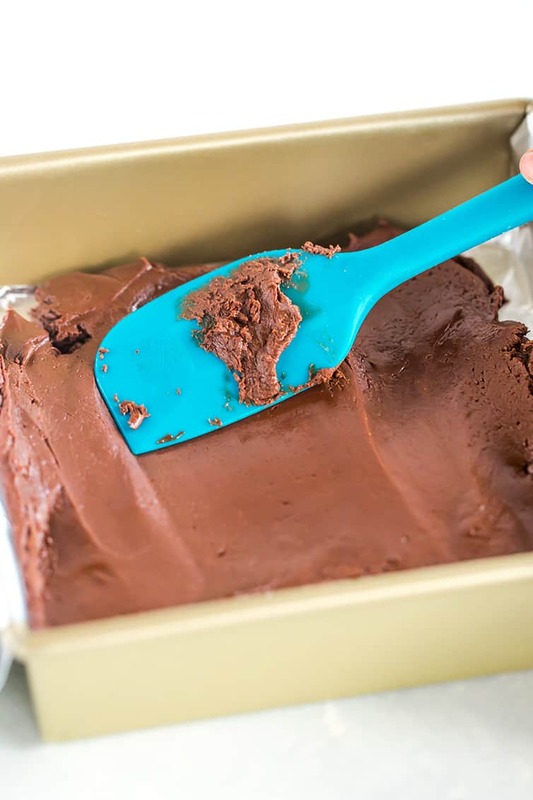 Chill the fudge for at least 2 hours to ensure it’s firm and has set up completely. That’s it! You’ll have rich, creamy fudge before you can finish an episode of your favorite show. 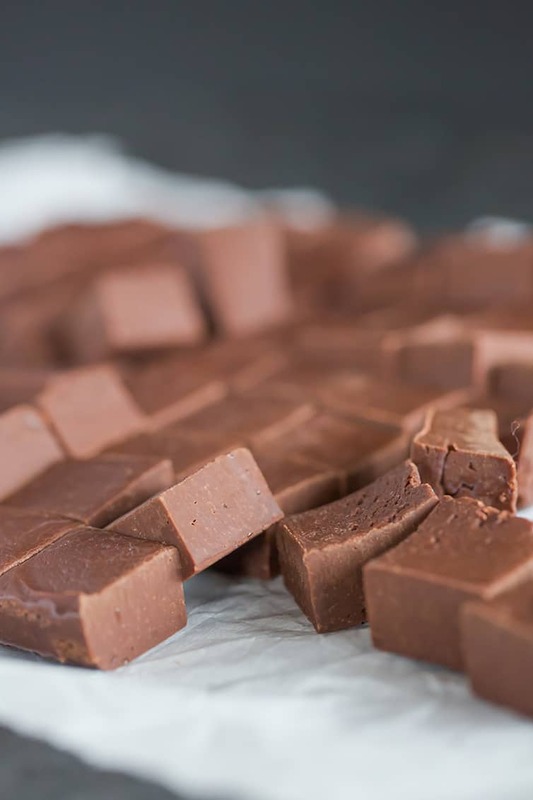 A few quick tips on making the best chocolate fudge, as well as some variations you can try! To make this fudge in the microwave, combine the chocolate chips, sweetened condensed milk, and salt in a medium glass bowl and heat for 3 minutes, stirring halfway through, then proceed with the rest of the recipe as written. To make an even creamier fudge, melt 2 cups of miniature marshmallows along with the chocolate chips, sweetened condensed milk, and salt, then proceed with the rest of the recipe as written. 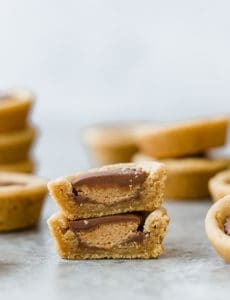 Substitute peanut butter chips for the chopped nuts. 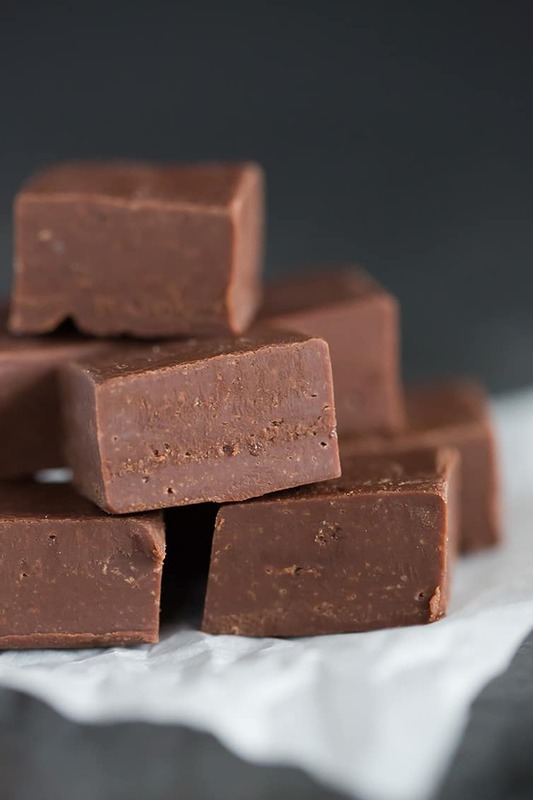 Looking for a fudge recipe without sweetened condensed milk? I want to try this magical microwave fudge. 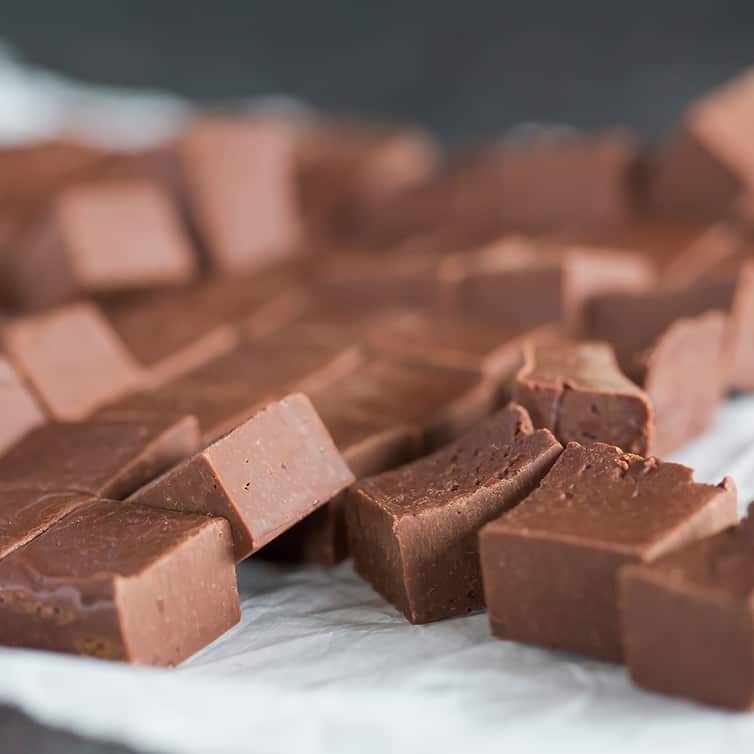 You can freeze fudge in an airtight container for up to 6 months. 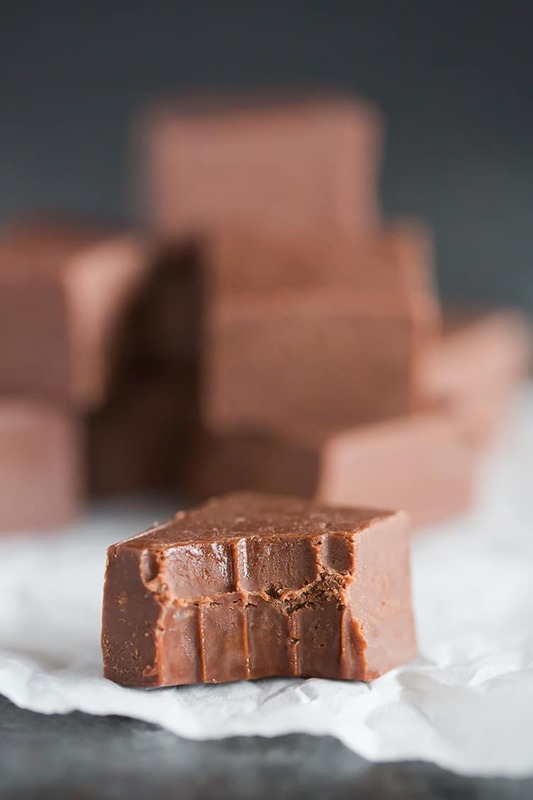 I love, love, love how easy, creamy and perfect this fudge recipe is, BUT I would still love to master an honest-to-goodness traditional fudge recipe. If you have a tried and true family recipe that you’re willing to share, please send it my way! You can share it in the comments below or email it to me. Whether you’re conjuring up memories of a family vacation to the beach or are in the throes of Christmas baking, I hope you enjoy this fudge recipe with family and friends! This quick and easy fudge recipe is made with chocolate chips and sweetened condensed milk. Options are included for using marshmallows and the microwave! Perfect for the holidays. 1. Line an 8-inch square baking pan with foil. 2. 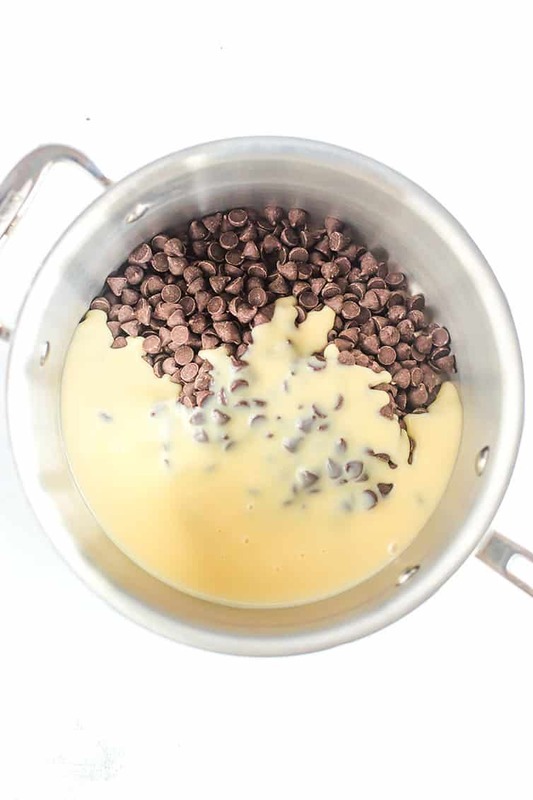 Place the chocolate chips, sweetened condensed milk and salt in a medium saucepan over low heat, stirring occasionally, until the chocolate is completely melted and the mixture is smooth. 3. 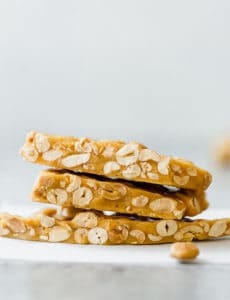 Remove from the heat and immediately stir in the vanilla and nuts (if using). Spread evenly in the prepared pan. 4. 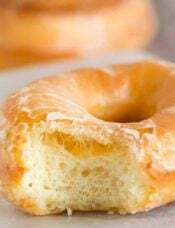 Refrigerate for 2 hours, or until firm. Cut into squares and serve, or store in an airtight container at room temperature for up to 2 weeks. Update Notes: This recipe was originally published in May 2009. 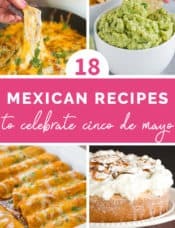 It was updated in December 2018 with a newer recipe, photos, and extensive recipe tips. I love it. 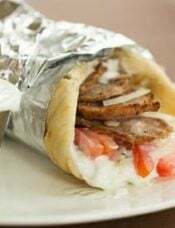 Very simple and delicious. I used marshmallow fluff with mine.. GREAT!! The fudge sound so yum! Thank you for sharing the recipe! I can’t wait to try it! I had not made fudge in years. Found this simple and quick recipe. My children and wife loved it! Making another batch today. Might try milk chocolate chips in place of semisweet for next batch! Happy Merry Christmas and New Year! Thank you for this easy recipe! After a not-so-easy and unsuccessful recipe attempt for fudge last year, I’m really looking forward to this one. Just printed it out. Happy holidays! This is the fudge I have been looking for. I love the dark chocolate flavor of it. I made a few small adjustments, melted the butter first then added the milk and chocolate and then added about 3 heaping tablespoons full of creamy peanut butter while the chocolate was melting. I chose to do it in a pot on the stove. Tastes amazing! This is the fugde my mom has made every year since I can remember. 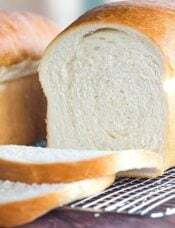 I love the creamy texture of it. This year I made “real” fudge out the Cook’s Country mag – I’m less excited about than I thought I would be. Maybe I’ll try again but the texture is not nearly a creamy and it was waaayyyy more work. Anxious to try this. I do have a favorite recipe that makes about 5 pounds of fudge that I have been using since late 1960’s. I will try to remember to post for you within the next couple of days. Love the photos of your family and furry members. This is an easy recipe that even I, who has never made fudge, will attempt to make this for Christmas. Can I add a dash of peppermint for flavor, will it blend well in the recipe? Thank you. Hi Annie, you could probably use peppermint or mint extract in place of the vanilla extract – I would substitute one for the other and not use both. Caveat, I’ve never substituted the vanilla in the fudge I make, but I don’t see why it wouldn’t work. Hi Annie, you could probably sub the vanilla out for peppermint or mint extract instead. I would only use one, not both extracts. Caveat, I have never subbed out the vanilla in the fudge recipe I make – although one year my mom and I forgot to add it! Fortunately, the lack of vanilla didn’t seem to affect the end product at all. 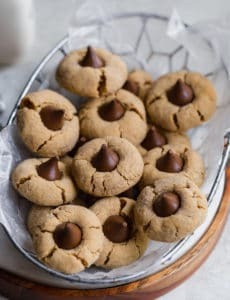 Can I substitute butterscotch chips for the chocolate? If so, would you alter the recipe in any other way? Seriously? That is all there is to it? Why havent’ I seen this recipe before! 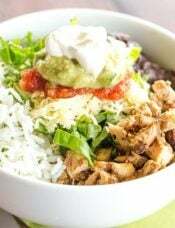 Oohh I am making this for my bro-in-law for father’s day. He loves fudge! I laugh because he is so disciplined about it. He can make a nice sized piece last for a week! Sorry that I’ve been an absent commenter; I just finished up my law school exams and am finally getting around to my google reader. This treat looks fabulous! Can I admit to you that I like fudge made with sweetened condensed milk better than fudge made the “slow” way?? Wow, this looks delicious. Great photos! OH YUM!! That looks fantastic!! The “honest-to-goodness-from-scratch” fudge is so good and not as hard as many people think, once you know how to do it. That’s how I’ve been doing it since I learned when I was a kid, I’ve never used sweetened condensed milk, chocolate bars, marshmallows or marshmallow fluff in my fudge, it’s just not the same as from scratch! Can’t wait to see when you try it from scratch, hope it goes well. My friend’s family always made the most delicious fudge at Christmastime, but were rather secretive about their recipe. Your photo looks just like their fudge, so I’m going to give this a try. Thank you! Fudge is one of those no fuss treats that is a definite crowd pleaser. I’ve never made it but this recipe seems so easy. thanks so much for posting.